Zen Studios has been releasing digital pinball tables on their Zen Pinball 2 platform for several years, some of which have been based on classic Marvel characters and properties. Now for the first time some of the tables will be collected on disc for both PlayStation 4 and Xbox One. 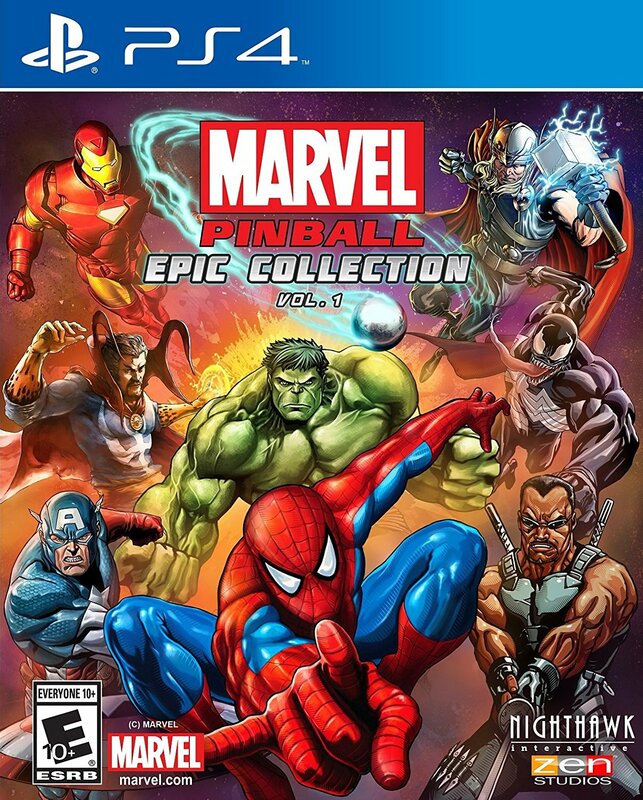 Titled Marvel Pinball: Epic Collection Volume 1, the collected edition will include the following tables: Spider-Man, Doctor Strange, Iron Man, Blade, Marvel’s The Avengers, World War Hulk, Civil War, Marvel’s Ant-Man, Venom as well as Fear Itself and retail for $29.99 USD. You can look for the collection starting November 8th in North America, and November 25th in the United Kingdom.